This man is someone I consider a friend, we were members of the same church until I left Abuja in 2013. It's shocking that some people decided to end his life with such impunity. Just yesterday, I was discussing with some ladies about how good people are being killed anyhow in our society these days, only for me to now see this. How sad! 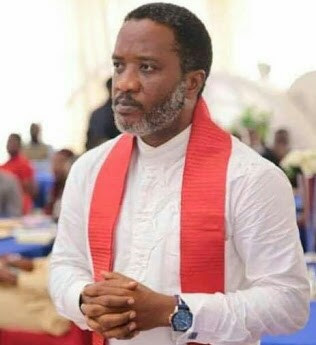 Imeogu’s remains have been deposited at the National Hospital’s morgue, while his wife and son are battling for their lives at an undisclosed hospital. It could not, however, be confirmed whether the attack was connected to the Abuja Council elections in which the deceased actively participated as the Chairman of the electoral committee. In a post on Facebook, Imeogu’s friend, Opeyemi Ogunsakin, said he hugged the late politician after a church service on the day he was killed. Nwanna said, “Pastor Imeogu, without mincing words, the news of your death shocked me to the roots. You weren’t just the best leader I served under but was always ready to listen to me; even in death, I celebrate you. The FCT police spokesperson, DSP Anjuguri Manzah, promised to provide an update on the incident to The Punch, but he had yet to do so as of the time of filing this report.